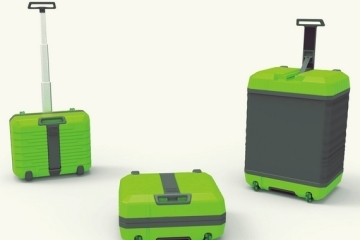 Rolling suitcases, whether they have fancy sliding doors or a modular design, are all awesome. Problem is, those wheels sticking out leave them very prone to damage during handling, making it unsurprising when the luggage returns with a broken wheel in tow. The Heys Stealth wants to put an end to that ordeal. 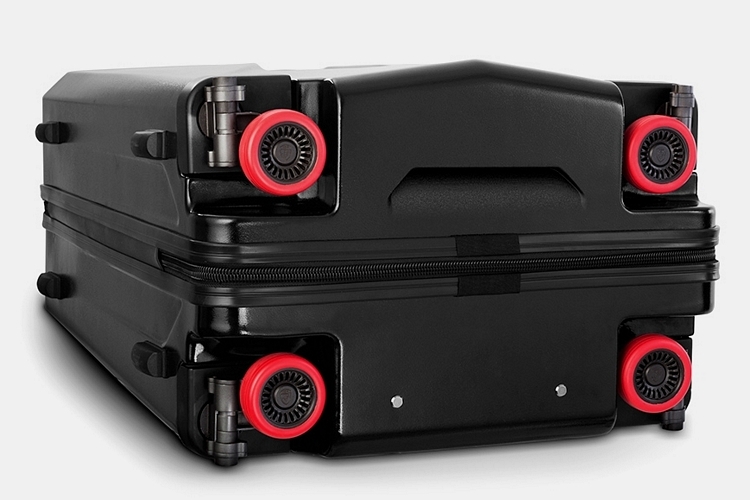 Described as “the first-ever luggage with retractable wheels,” it lets you set the casters flush against the bottom of the suitcase, minimizing the chances that they hit anything during baggage handling that can cause unwanted damage. 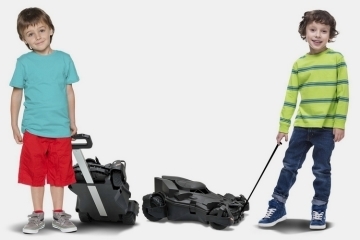 That way, there’s no need to worry about broken wheels turning your rolling suitcase into a burdensome load for the duration of a trip. 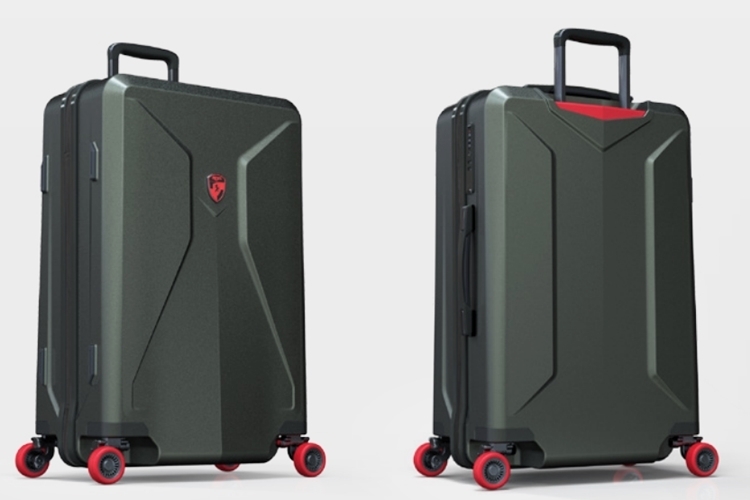 We know, the Heys Stealth’s spinner wheels don’t actually retract, but fold away into separate recessed corners at the bottom of the luggage. 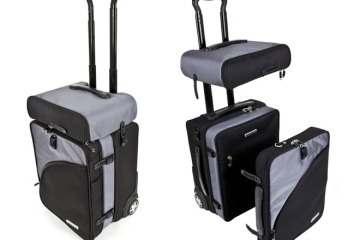 Either way, it works great for protecting otherwise damage-prone areas, with the added bonus of increased packing space (10 percent, according to Hayes), since the wheels don’t have to count when measuring the suitcase’s height. 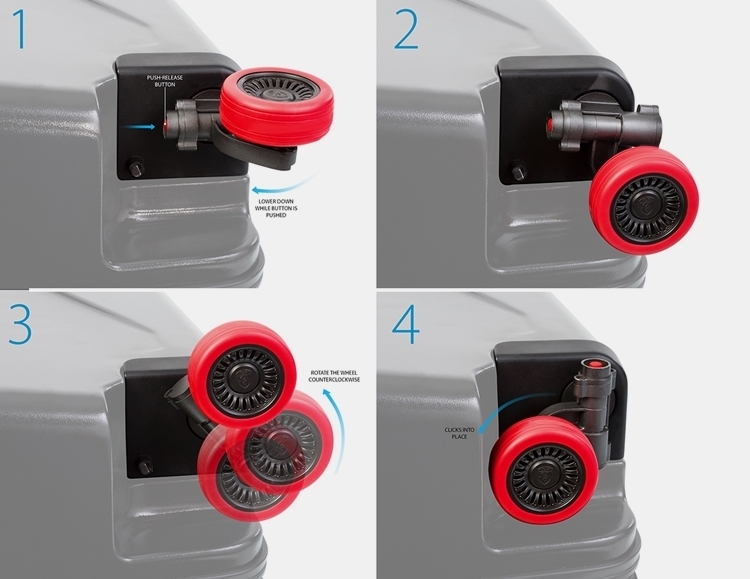 Do note, it’s not an automatic process, requiring you to manually stow the wheels by pressing a push-release button before folding and rotating each one by hand. The wheel will click into place once it’s in the desired position. 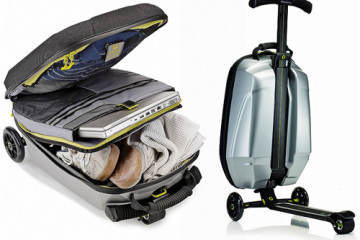 Construction is durable polycarbonate for the luggage shell, rubber for all four in-line spinner wheels, and aluminum for the hardware. 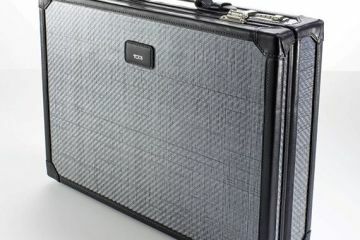 It comes sporting a fully-lined interior, with integrated compression straps. Three sizes of the Heys Stealth are available: 21-, 26-, and 30-inches. Prices are $250, $300, and $350, respectively.